A massive asteroid believed to larger than the size of Big Ben is set to fly past Earth tomorrow afternoon at a dizzying speed of 30,422 miles per hour. 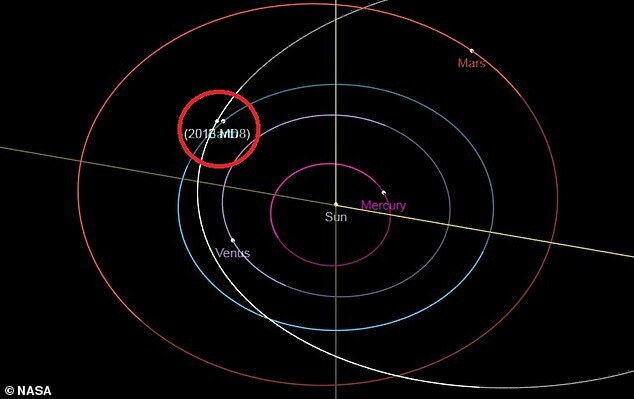 The asteroid, dubbed 2013 MD8, is expected to skim past Earth at just over 3 million miles away, or about 13 times the distance between Earth and the moon, at 12:55pm (ET) on Tuesday. With a diameter that's close to 280ft, MD8 rivals the Big Ben clock tower in its size, which stands at 320ft. The huge space rock is expected to make a 'close approach' to Earth, but its trajectory should see it soar safely by. 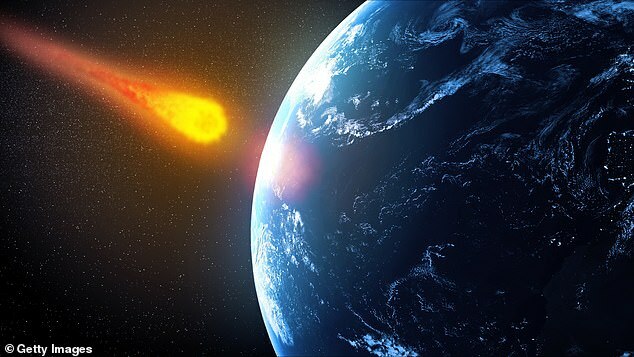 NASA considers an asteroid to be 'hazardous' if they come within 4,600,000 miles of our planet. Asteroid MD8 falls under the category of a 'near-earth object' (NEO), which NASA describes as all asteroids and comets that orbit within 30 million miles of Earth. 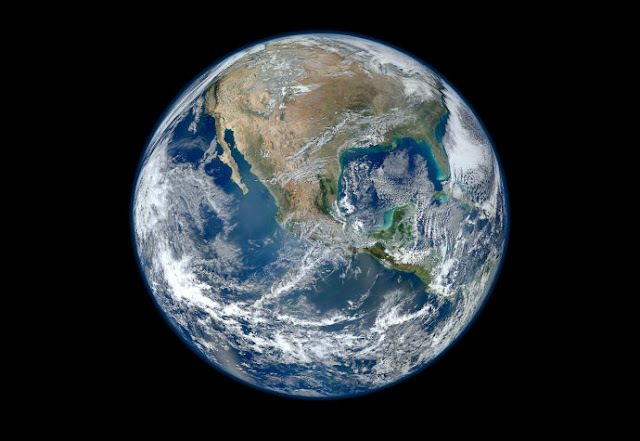 NASA tracks this and other near-Earth objects (NEOs) to keep track of any potential incoming threats. However, there is little to be worried about, even with MD8 being a near-earth-object. The agency believes that out of the more than 600,000 known asteroids in our solar system, roughly 16,000 are NEOs. MD8 also falls under the category of a 'potentially hazardous object,' which are those that reach a minimum distance less than .05 au from Earth and have an absolute magnitude (H) of 22.0 or brighter. Asteroid 2013 MD8 has an absolute magnitude of 24.2.